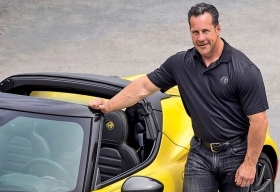 Given the problems facing Maserati and Alfa Romeo, Reid Bigland's skill set seems a good fit. Reid Bigland, the hyperintensive, iron-pumping U.S. sales boss at Fiat Chrysler Automobiles, can undoubtedly move the metal. After all, FCA's U.S. sales have risen every month for the past six years. He's a "full-blooded sales carnivore," says one company insider. Bigland is also Sergio Marchionne's chief fixer, having stabilized Dodge and Ram during stints heading those brands in the U.S.
Now he has another mission. Last month Bigland was handed global responsibility for FCA's struggling Italian luxury brands, Maserati and Alfa Romeo -- on top of all his other duties. But this time the job is not only about bolstering brands and boosting sales. Insiders say the move is very much an examination to see whether the 49-year-old Canadian has the chops to succeed Marchionne in 2018. That's when the CEO, now 63, says he plans to step down. Marchionne "trusts Reid to run the business," said an FCA source with direct knowledge. "He treats him like the son who may inherit the company -- but isn't certain he can actually take it over." And, sure enough, Maserati and Alfa Romeo will be a huge challenge, with nothing short of the fate of FCA riding on the results. In 2014, Marchionne laid out a strategy for FCA that is dependent on the continued growth of Jeep and the revival of Alfa Romeo. That year, a debt-burdened FCA bet the house -- about $6 billion -- that it could resurrect Alfa and push its profit-rich global sales from an anemic 74,000 in 2013 to 400,000 by 2018. Now it will be up to Bigland to make that happen. "I think the luxury brands are a good fit since it gives [Bigland] direct control of manufacturing and product development," the insider said. "It's a great test to fill out the chops." For years Bigland has been Marchionne's ace troubleshooter. The former Freightliner and Canadian Airlines executive was running Chrysler Canada when he was tapped to take over a struggling Dodge brand from Ralph Gilles in 2011. Bigland also added U.S. sales to his duties, taking over from Fred Diaz, who moved to Ram. When Diaz departed for Nissan in 2013, Marchionne moved Bigland from Dodge to Ram but kept him in the U.S. sales job. In the new alignment, Bigland keeps a grip on U.S. sales and Canada. He's also a member of FCA's Group Executive Council, the company's highest decision-making body. At Alfa and Maserati, Bigland replaces another longtime Marchionne lieutenant, Harald Wester, who keeps his other job as FCA's chief technology officer. "It is time now for our efforts to be directed towards the global commercial expansion of these two brands, and I can think of no one better than Reid to fulfill that mission," Marchionne said in a written statement. "Reid has an extraordinary record of growing sales and market share in the U.S. and Canada over the last 7 years at FCA, including leading the growth and positioning of the Ram and Dodge brands for part of that time." 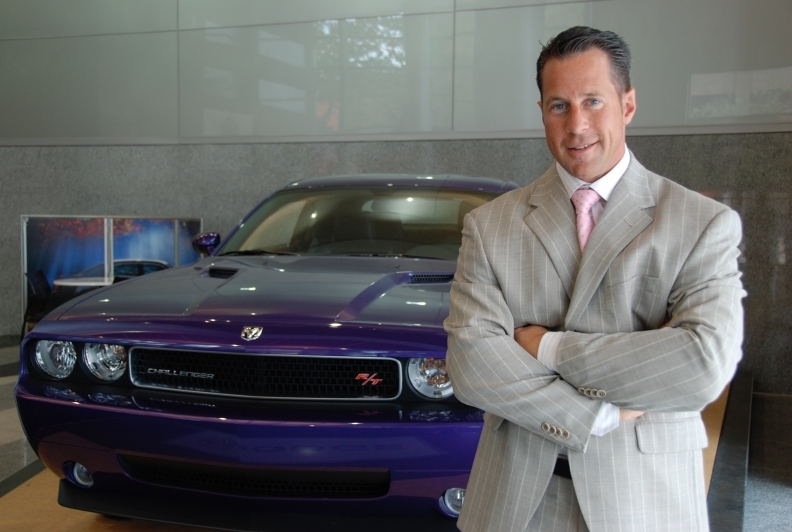 Bigland's skill set seems a good fit considering the problems facing Maserati and Alfa Romeo. At Maserati, global shipments declined 14 percent in the first quarter to 6,295, including a 16 percent fall in North America and an 8 percent decline in Europe. The decline resulted in a 2.9 percent drop in revenue in the quarter, but more important, the brand's global adjusted earnings before interest and taxes fell by 56 percent to just 16 million euros, or about $17.9 million. Maserati has an aging product lineup and only 115 dealerships in North America. But in the first quarter it began producing a new luxury crossover in Italy, the Maserati Ghibli-based Levante. Wester and Marchionne have said North America is key to Maserati's success, especially after a slowdown in luxury sales in China. Wester said he wanted to expand Maserati's North American dealer footprint from 115 to 130 dealerships by the end of 2016, and, with the addition of the Levante, wanted to grow North American sales from about 12,000 in 2015 to an annual rate of 20,000. Alfa Romeo's problems may be solved simply by getting its long-delayed products. FCA's 141 Alfa Romeo dealerships in North America are waiting for eight cars and crossovers that have been promised. So far, they have had just one vehicle to sell -- the low-volume 4C sports coupe. Production of the Giulia, the first of the eight promised Alfas, began in Italy in March. North American versions of the sedan will be built starting in July and will arrive in showrooms this fall. A planned crossover on a shared platform with the Giulia, known as the Stelvio, is due to be revealed by year end. Insiders say Bigland's straightforward, hard-charging nature will help him tackle the problems at Alfa Romeo and Maserati. Bigland provides "a direct and honest view," said one source. "Reid is different from the other [FCA executives] in that he is not that concerned about what [Marchionne] may think -- and [Marchionne] does not get that much from the others. Plus Reid is what Sergio is not -- a full-blooded sales carnivore." Bigland was out of the country last week and unavailable for an interview. Still, running four FCA business units won't be easy for Bigland. The travel alone will be brutal. Though he now works primarily out of FCA US headquarters in Auburn Hills, Mich., near his home, Bigland, who holds Canadian and U.S. citizenship, also spends a lot of time at FCA Canada's headquarters in Windsor, Ontario. Leading Alfa Romeo and Maserati will require more frequent and extended stays in Italy, where the two brands are based and their vehicles are built. Bigland's travel schedule will be exceeded perhaps only by the schedules of Marchionne and Jeep head Mike Manley. Manley, also considered a contender to take over for Marchionne when he steps down, is on the Group Executive Council and, besides Jeep, is responsible for the automaker's expansion and operations in Asia. Few who know Bigland doubt that he'll stay focused. David Kelleher, a Chrysler-Dodge-Jeep-Ram dealer in Glen Mills, Pa., and a member of the FCA National Dealer Council, said: "Reid's challenging, and you complain about what he wants you to do for 29 days. Then on the 30th day, we all achieve our goals." As for Bigland's new extra jobs? Kelleher said: "That guy's an animal. You'd have to throw about three or four more assignments at him before I'd be worried that he had too much on his plate."